The No Incision, No Downtime Body Sculpting Procedure for Amazing Fat-Inch Weight Loss! Get Slim, Quickly and Naturally with The FDA Approved Strawberry Laser! View The Strawberry Laser Videos! Can You Eat Bread and Still Lose Weight? Is bread healthy? Can you eat bread and still lose weight? Ever since dieters became more wary of carbs in their diets, bread has been on the forbidden list of many eating plans for weight loss and weight maintenance. But if you’re a bread lover, don’t despair. 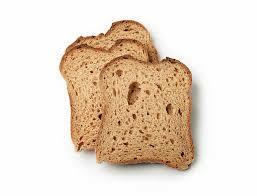 You can eat bread and lose weight, and certain types of bread can even be part of a healthy eating plan. A single slice of commercially prepared whole wheat bread (shown on label) provides almost 70 calories, and about 1 gram of fat. The slice also provides almost 4 grams of protein and 11.6 grams of carbohydrate. But since it also provides about 2 grams of fiber, you’ll only consume about 9.6 net carbs per slice. Remember however, that you need to double those nutrition counts if you make a sandwich with two slices of bread. Bread provides calories (energy) primarily in the form of carbohydrate. Carbs are your body’s preferred energy source. So when you eat bread, you provide your body with fuel for your daily activities. What is enriched bread? You may see the word “enriched” on the commercially prepared bread that you see in the grocery store. Enriched foods have had nutrients added back in during processing. Most often, nutrients have been stripped away during the manufacturing process. Enriched products are usually made from refined grains, or grains that have been processed so that the whole grain is no longer in tact. Why is whole wheat bread better for my diet? 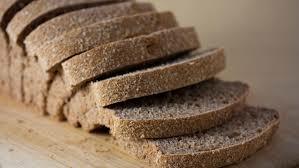 If you are trying to lose weight, you’ll notice that eating foods with fiber, like whole grain bread, will curb hunger for a longer period of time after eating. This helps you reach and maintain a calorie deficit. 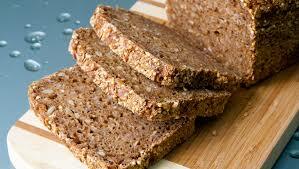 Don’t rely on the front of the bread package to determine if your bread is made from whole grains. Many times, food manufacturers use words like “multigrain” to make their food sound more healthy. Instead, check the ingredients list. Whole grains (like whole wheat, wheatberries, whole oats) will be listed as one of the first ingredients. The Whole Grain Council provides a comprehensive guide to deciphering labels to find whole grain foods. White bread isn’t necessarily bad for your diet, but it provides calories (energy) without as much nutrition as whole grain bread. If you’re trying to cut back on bread, there are several alternatives to bread that you can try. For example, did you know that you can make a sandwich using a cucumber instead of bread? And many healthy eaters wrap their healthy beef or turkey burger in lettuce rather than using a bun. What Are Some Examples of Low-Calorie Bread? There are many healthy ways to include bread in your diet, so if you love bread, keep eating it. But consume it in moderation. Enjoy an open-face sandwich instead of using two slices of bread. And instead of having bread with high calorie jam and butter in the morning, have a few slices of apple topped with peanut butter.